WHERE ARE WE GOING TO HOUSE EVERYONE? ....Our Housing Market Needs Some Relief! I read an article in the Seattle Times the other day about all the driver's licenses they are issuing each month to new arrivals to the state. It was the kind of news story they run when they're short on real news. 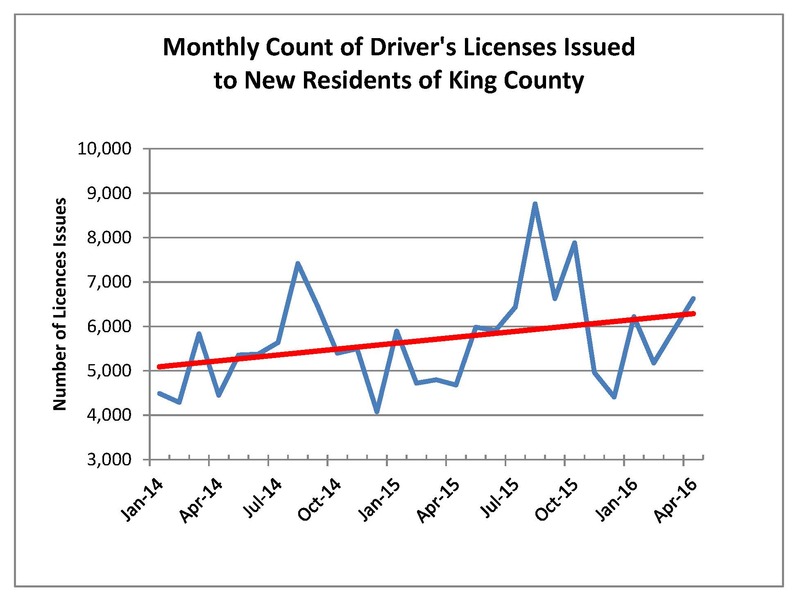 The article mentioned that in just one month this year (April) the state issued over 6,600 new licenses in King County. That got me to thinking about the shortage of homes in the Seattle Condo market and how are we ever going to get back to some point of equilibrium? I won't bore you with too many statistics, but my brain was swirling trying to calculate how many new homes those new “April licenses” represented. If the average household contains 2.5 people then all those new licenses would require 2,400 housing units in this county. Whether we're talking about putting these people into apartments or condos or detached houses, that many housing units seems like a hefty demand…. And that is just ONE MONTH'S SUPPLY. Below is a graph I created using data I pulled off the Washington Department of Licensing website. It appears that the pace of new arrivals to King County is accelerating right now. It typically spikes during the summer months and slows down in the winter, but overall the trend is increasing. But before we fall into despair thinking that we're headed for a terminal case of population explosion, there is actually some good news. It seems that not everyone who comes here actually sticks around (they become part of a “net migration”). And there is also a cycle of births and deaths that occurs (or something known as “natural increase”). When you put these two elements together, our population growth in King County is not 6,600 people each month; it's actually something closer to half that amount or just 3,300 people per month. That's still a big number, but it feels more manageable. These numbers came from census data available on the web. I included a link below. 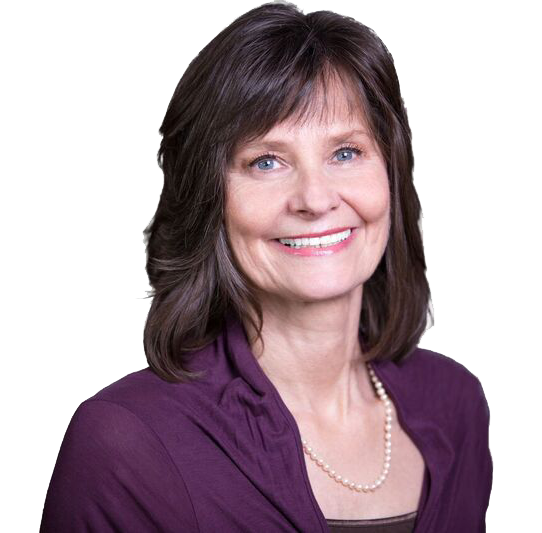 Yes, finding Seattle real estate 3,300 new souls each month is daunting task. I'm going to stand on a soapbox for a moment and say that our civic leaders may need to re-examine the process by which they approve new construction. I'm not suggesting that we give short shrift to the environmental review processes, but I am suggesting that taking 12 to 18 months to issue building permits is a bit ridiculous. It is not serving the community well when it takes that long to work through a needlessly complicated bureaucracy. Let's hire more staff at the planning & building departments to meet the demand. Now that's a brilliant idea! Every other business responds that way. The Seattle real estate market is in need of relief. A Seller's Market is defined as “less than a six-month inventory of houses on the market based on current demand”. King County has been operating with less than a 1.5-month supply for the past two years. We are in an extremely disorderly market and it needs corrective action soon. I'd love to hear your thoughts about the experience searching for a home.